I apologize if this has already been discussed or pointed out before. 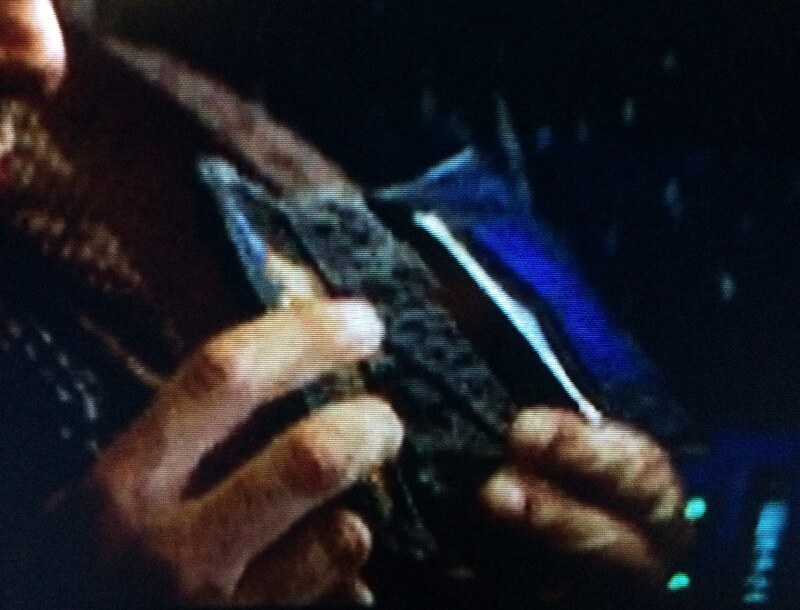 I was watching some documentary stuff on the Bluray and noticed this shot of Deckard closing both flaps of the wallet, showing all 3 inside panels. Has this ever been pointed to before as proof there is no badge? The panel on the right in the first few pics is the center panel, it just looks like another pocket with a card in the side of it. 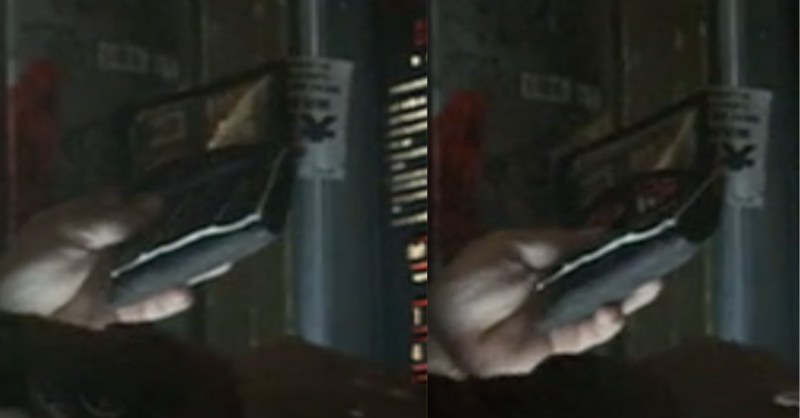 The 3rd panel is flopped over behind the visible portion in the first few pics. He first closes the left side with the ID, and then the right side, making it apparent that the center outside panel is blank. 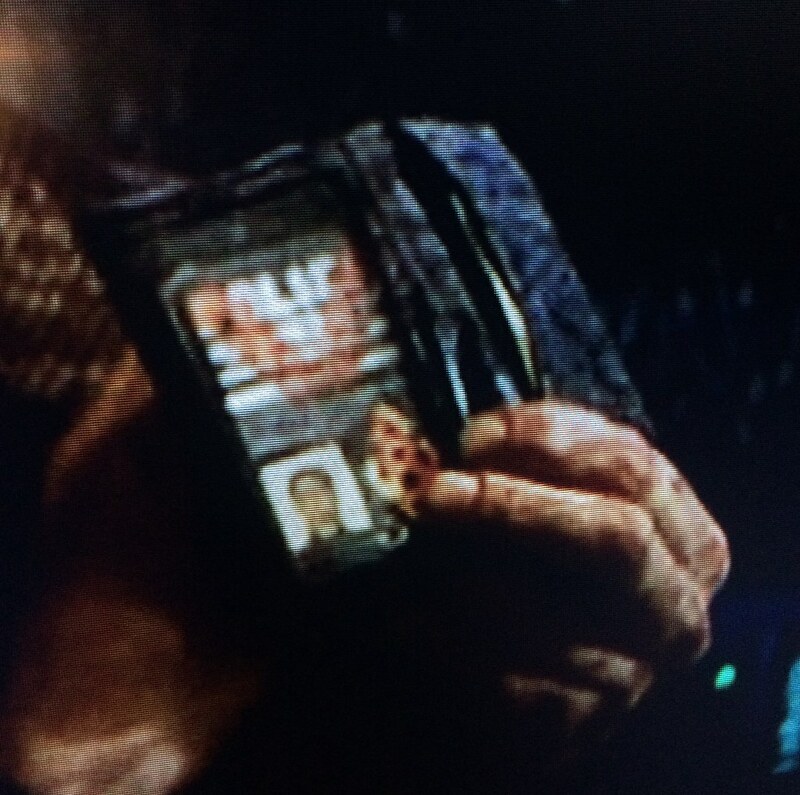 Also it's worth noting that the wallet is almost an inch taller than the ID card in the left panel. Are the cards maybe smaller then a standard card, or is the wallet taller than a standard wallet? Are there any absolute confirmed dimensions of the cards made? Also that 3rd panel on the right has two interesting rectangular shapes on the outside of another card flap. Outline of 3 inside panels. Is the 25th anniversary bluray set. I didnt take note of which feature it was, but it was just a quick shot during one of the making of features. Its not a shot I noticed in the deleted/alternate scene montage, so its another alternate shot of him in the car. Here is a quick mockup of what I'm seeing. There is a cutout halfway down between the first and second panels. 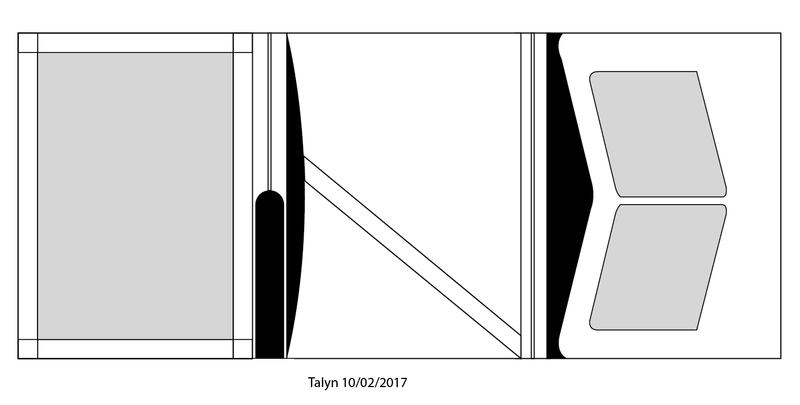 Im not sure what the two rectangle shapes are on the 3rd panel, but its possible they are clear window cutouts like on the 1st, as they reflect light different than the rest of the leather. But they could also be velcro. I disagree about the clear panels. 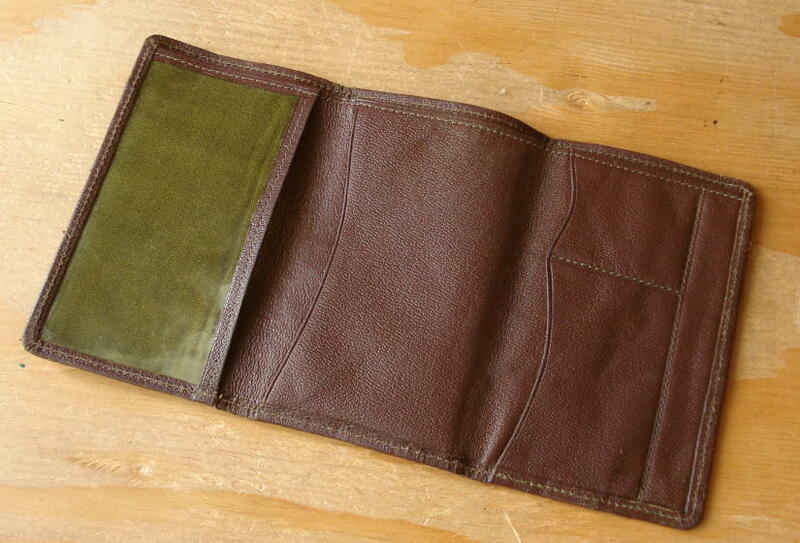 I have been looking at a LOT of vintage wallets and most of the ones from the 40's and 50's right up to the 80's seem to have small pockets on the inside leaves, in leather, for postage stamps. 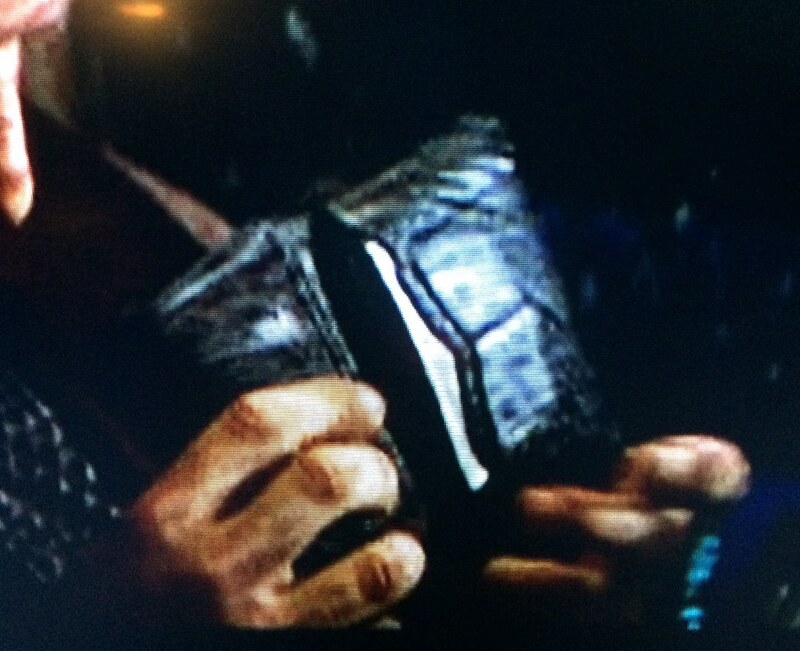 When the wallets are well used the leather shines and this is what I think we can see there; shiny stamp pockets. Often they have the word STAMPS embossed on them or foil-stamped in gold or silver. I would add some of my reference photos but as I'm new here I am finding this forum more difficult than most when it comes to adding pictures. Very interesting! Definitely something new, and proof there wasn't a badge. and if you did I would buy one. 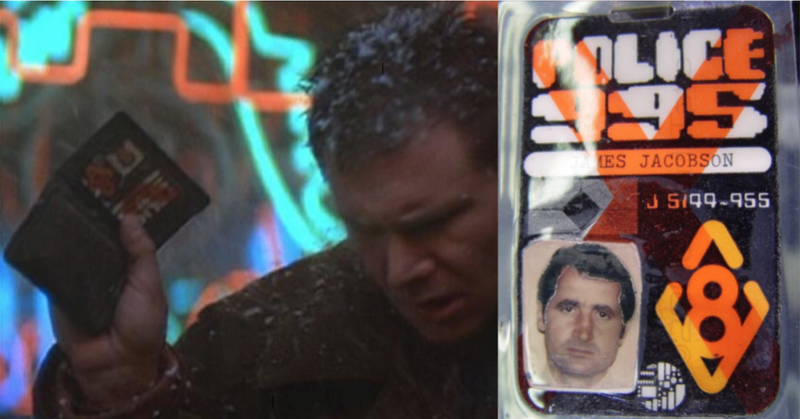 I've been waiting a long time for a halfway accurate Deckard wallet. The prop dept. could've cut the leather out and replaced the cut-outs with clear plastic "windows"...you know, to make it different than a regular wallet. You can see clearly that there's some kind of document (pic/text) in those windows. Just a laminated ID card glued to one flap of the wallet perhaps? Or squeezed/sewed into the seam line? 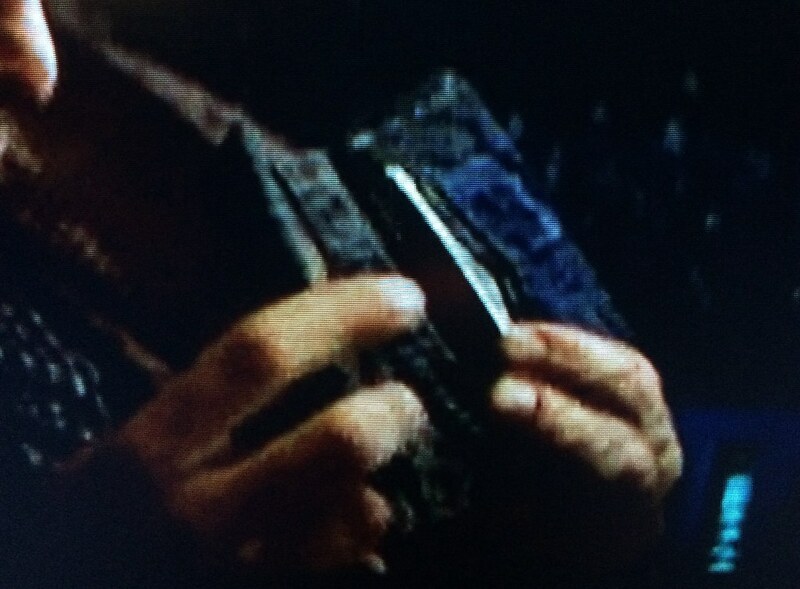 In the shot where he's calling Rachael, you see the card slide out of the sleeve because its loose and much smaller than the sleeve, so its definitely a separate card. Not convinced there are windows on the right hand side of the wallet. If the leather was stretched out at all, they would be reflecting scene lighting differently than the rest of the panel, especially if they had at one time been used and gotten more rubbing than the rest of the leather around it. Shined up a bit from having stuff in it. Though, from my old wallets I would expect the outline of a key or such. 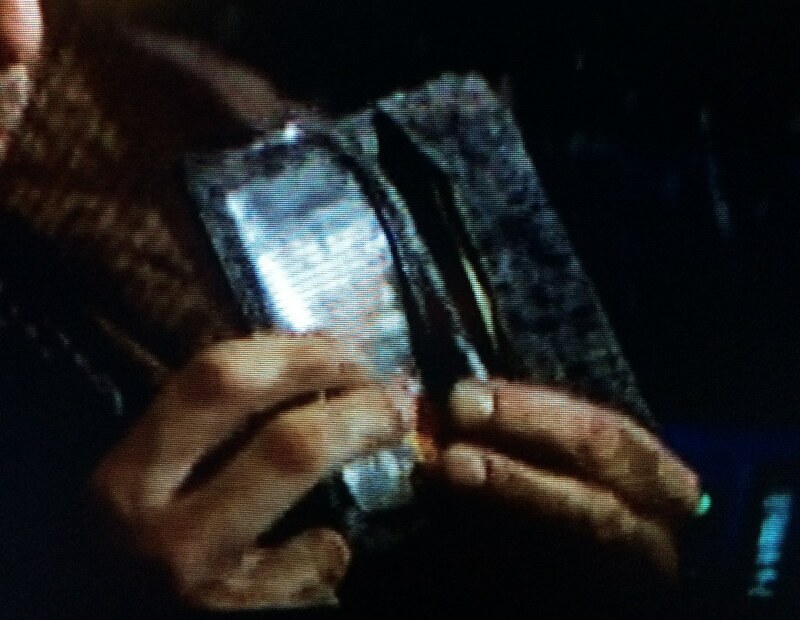 The wallet does look used and distressed quite a bit though. The diagonal slit on the middle panel looks like it may run corner to corner across the space. It may be a half-pocket for tucking stuff into. Tickets etc. The two small trapezoids on the right hand panel may well be small pockets, but of a lighter leather, so more shiny with use. Different leathers wear differently. I can't see if the left panel is a clear window, or a mesh window, or just open. If we nail down the details, I'll look at making a prototype if you like. To me they have too much of a different look from the leather around them to be the same material. It could very well be two windows into whatever is slotted into that large pocket. Sorry, I thought you were implying the ID was sewn or glued onto its panel. It was unclear, I was just speculating. There's no doubt in my mind there's a plastic window and that the card is behind it. Look at the scene where Dec is calling Rachel from the bar (as you pointed out). You can see the plastic play in the light and even lift up when the card slips down. Agreed. I would say there was a clear window over the left hand panel, with the ID behind it. I'm not 100% certain that the right hand panel trapezoid shapes are indeed trapezoids. They may just look like that because they're being 'tented' out by an object in the pocket behind. They may well be squares or rectangles, as we only have these few frames from that single angle as reference.